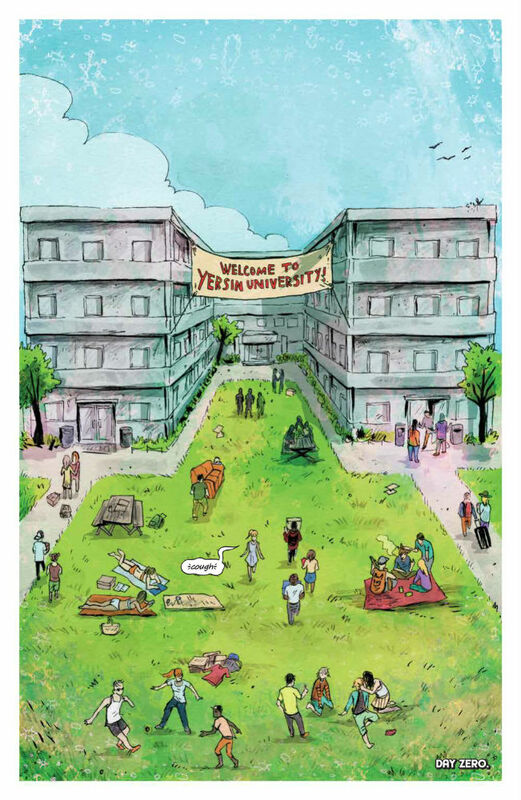 After 2016’s dual publication of the Broken Frontier Anthology and our first Broken Frontier Small Press Yearbook it seemed unlikely that we could top such a banner year. And yet 2017 proved to be a massive year of change for BF. In many ways it was our most momentous and game-changing twelve months since the site’s formation back in 2002. 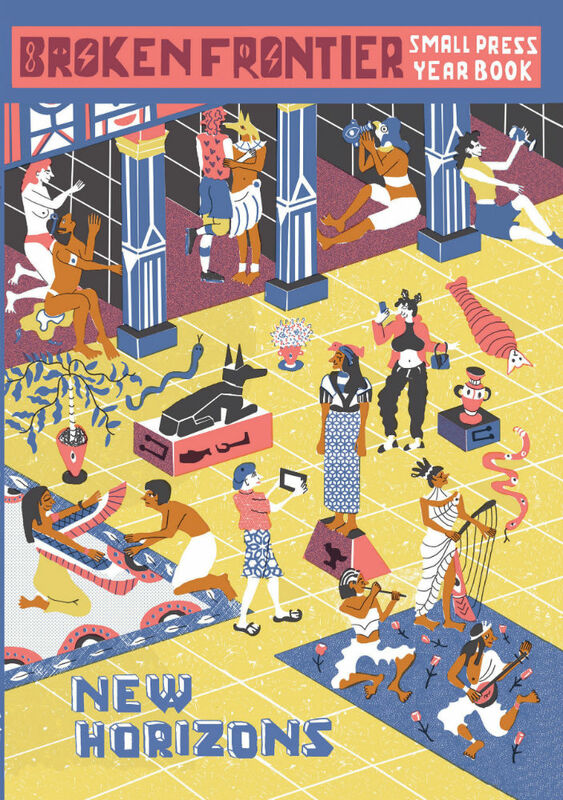 A new year, of course, is an important point for looking forward and planning ahead but it’s also a time for reflection and celebration and, just as we did last year, we’re going to revisit our Broken Frontier exploits and adventures in 2017 – with a special emphasis on our coverage of some of the major developments this year for our championed ‘Six to Watch‘ creators – before we launch ourselves fully into 2018. 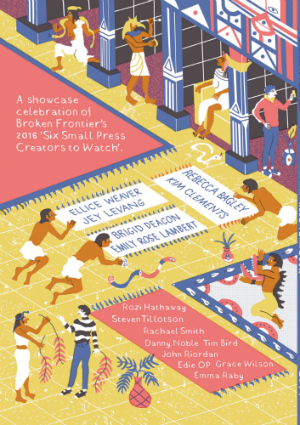 The first week of January at Broken Frontier has become synonymous with our annual ‘Six Small Press Creators to Watch‘ announcement. Early 2017 saw us reveal the five women and one man to make up this year’s intake of artists to be championed, promoted and mentored both on the site and off it. Peony Gent, Josh Hicks, Sabba Khan, Olivia Sullivan, Anja Uhren and Kate-mia White were the incredibly talented half dozen selected this year and you can read more about their diverse approaches to the form here. 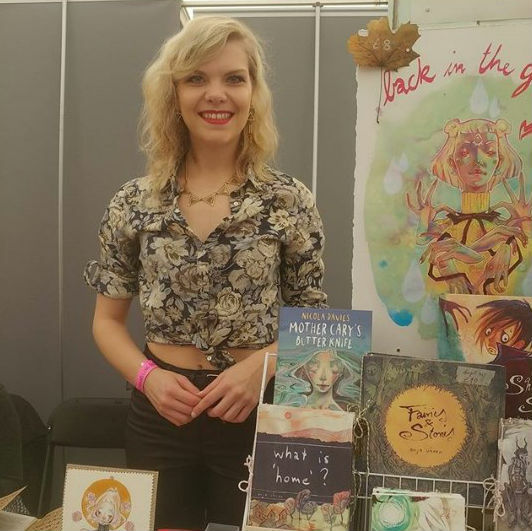 We also announced the winners of our 2016 Broken Frontier Awards in the same week and while Tillie Walden and Tom King’s projects dominated it was also the year when the public and BF staff voted original BF 2015 ‘Six to Watch’ creator Rozi Hathaway (below) as our Breakout Talent Award winner. 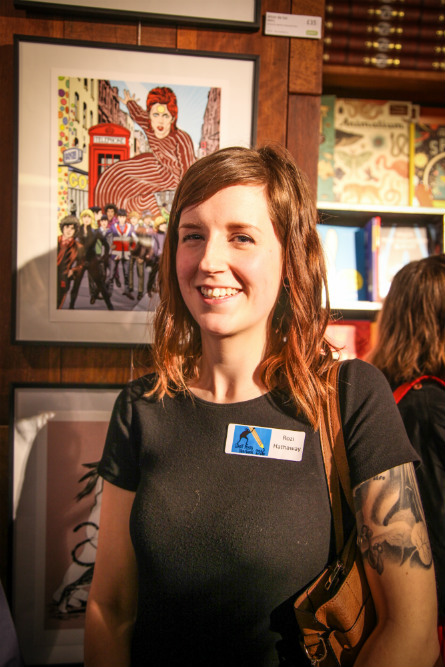 You can read our Award profile of Rozi and her work here. 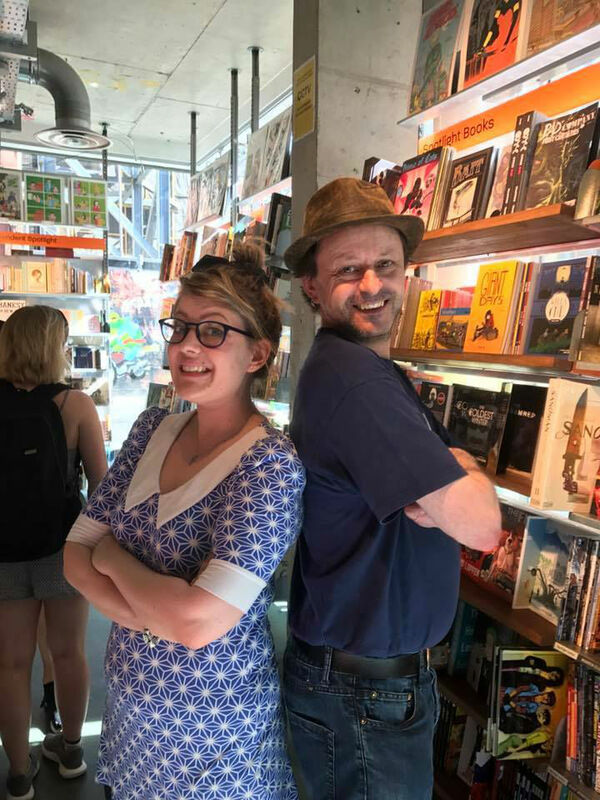 2017 would prove to be a continuing year of change behind-the-scenes at BF with long-term team members Jason Wilkins and Paul Mirek bidding us adieu and new writers EdieOP, Jenny Robins, Tom Baker, Robin Enrico and Holly Raidl coming on board. We also welcomed former team members Tony Ingram and Tom Murphy back to the fold. 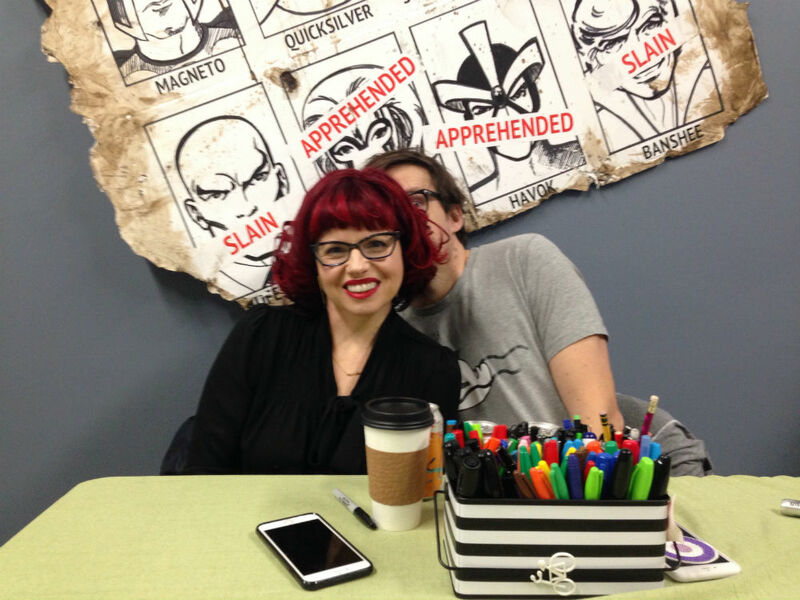 It was a year of multiple anniversaries for publishers and we celebrated the Image Comics 25th first with our Tyler Chin-Tanner attending ‘Image Day’ celebrations in Portland and interviewing Leila del Duca, Joe Keatinge, Brandon Graham, Sloane Leong, Emi Lenox, Kelly Sue DeConnick and Matt Fraction (latter two creators below) all in one piece! You can read that interview here. 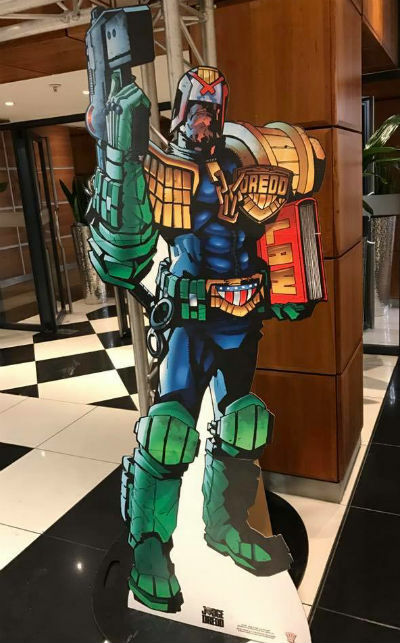 2000 AD also marked four decades of thrill-power in 2017 and we were on hand at their epic 40th birthday bash in February at the Novotel Hotel in Hammersmith. A glorious celebration of the Galaxy’s Greatest Comic, this was one of the great triumphs of the comics events calendar! February was also the month when our Gosh! 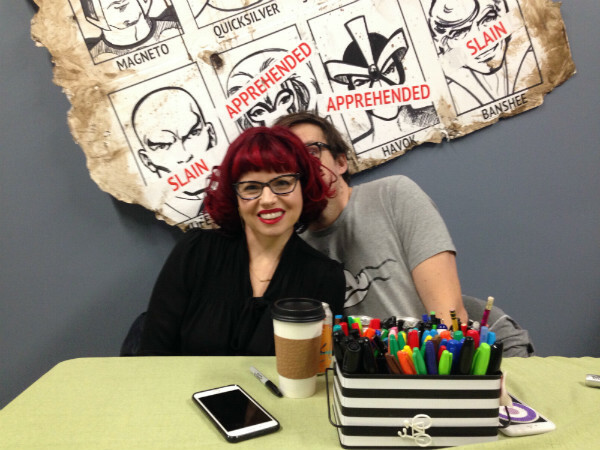 Comics and Broken Frontier monthly Drink and Draws resumed, co-hosted by myself and Gosh’s Nora Goldberg (below right). It was an epic year for the D&D with no less than eleven evenings of illustration and imbibing over 2017! Guest artists included Matthew Dooley, Rachael Ball, Sarah Gordon, Jamie Coe, Eleanor Crewes, Alex Hahn, John Cei Douglas, Yoyo the Ricecorpse, Tor Freeman, Korinna Mei, Woodrow Phoenix, Hamish Steele, Eleni Kalorkoti, Angela Pan, Todd Oliver, Matthew D. Swan, Sam Baldwin, Grace Helmer, Jayde Perkin, Sabrina Scott, Zoë Taylor, Wai Wai Pang, Katie Skelly, Ariela Kristantina, Apila Pepita, Sara Valta, Peony Gent, Wallis Eates, Chloe Elise Dennis, Baudoin, Shane Melisse, Matthew Pettit and Lucia Soto. That’s a lot of talent! You can read a full overview of last year’s Drink and Draw evenings here but below in the meantime is a reminder of the boundless energy of Baudoin working the room at our special November edition. 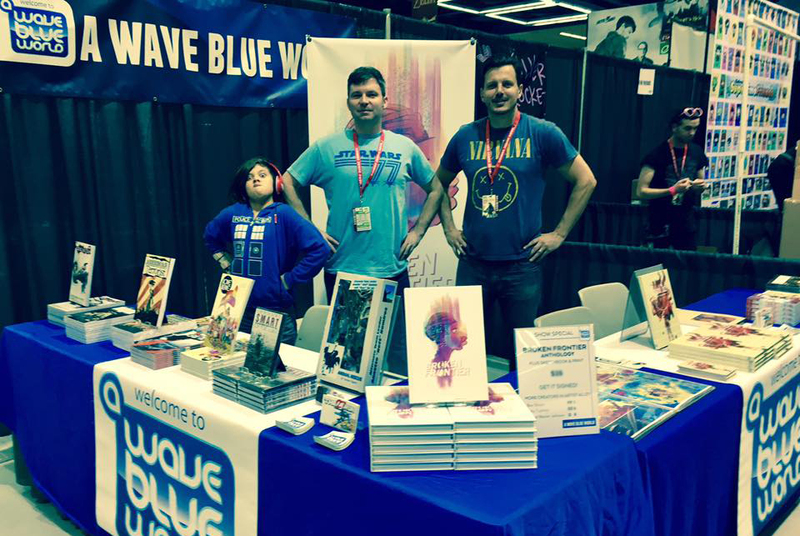 Our Tyler Chin-Tanner was at the Emerald City Comicon in March with his A Wave Blue World publishing imprint taking the Broken Frontier Anthology to new audiences. Tyler would also report back from the Five Points Festival, Heroes Con and Flame Con in 2017. 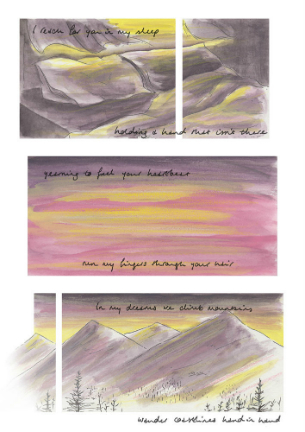 This was also the month when BF ‘Six to Watch’ artist Rozi Hathaway’s new anthology Cosmos & Other Stories (below) exploring themes of isolation and loneliness was published by Good Comics. You can read a review at BF here. March saw the UK con/festival trail beginning as well with a visit to Leamington Comic Con starting my own personal convention calendar. 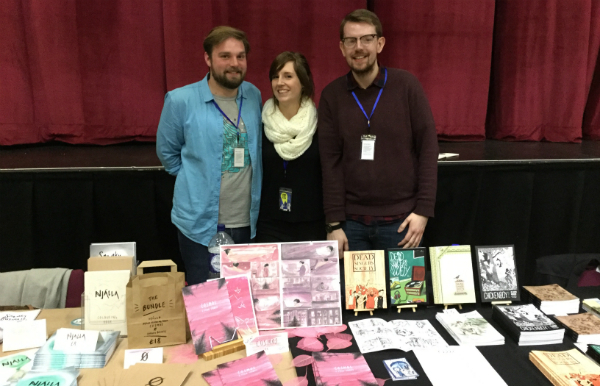 Speaking of Good Comics here’s their table at Leam with Samuel C. Williams, Rozi Hathaway and Paddy Johnston in attendance! April’s big event on the site was our ‘Myriad Week’ celebrating the output of one of our very favourite publishers here at BF. Alongside a number of in-depth reviews of recent releases and retrospective features we also ran major interviews with Myriad Editions Creative Director Corinne Pearlman and creators Gareth Brookes, Jade Sarson and Ian Williams. You can revisit the whole week of content in one place here. April also marked another major first for Broken Frontier when a page of Rozi Hathaway’s Broken Frontier Small Press Yearbook story was exhibited at London’s Cartoon Museum in the ‘The Inking Woman’ show that ran across the early part of summer (below) and showcased the work of around 100 women creators. Other BF favourites included in the exhibition were Danny Noble, Wallis Eates, Jessica Martin, Karrie Fransman, Hannah Berry and Isabel Greenberg. 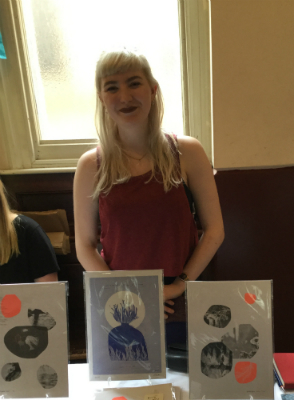 Not to forget our very own EdieOP pictured with her work below! 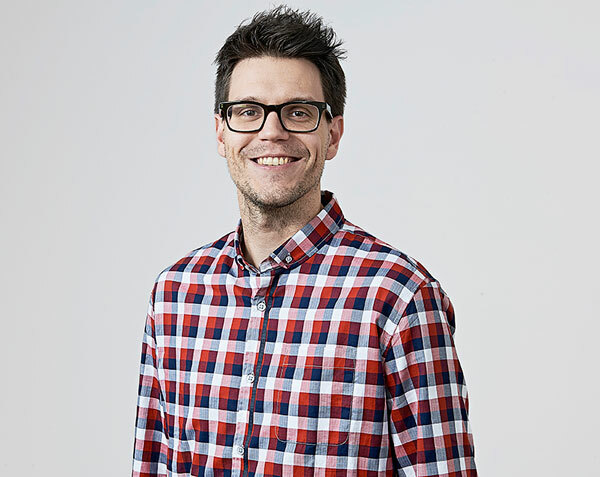 This was the month that original BF ‘Six to Watch‘ artist Danny Noble was thrust into the spotlight as the illustrator of comedian and actor Adrian Edmondson’s children’s novel Tilly and the Time Machine which was officially published in May. 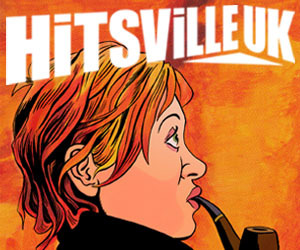 You can see Danny’s work animated in the promo video below. 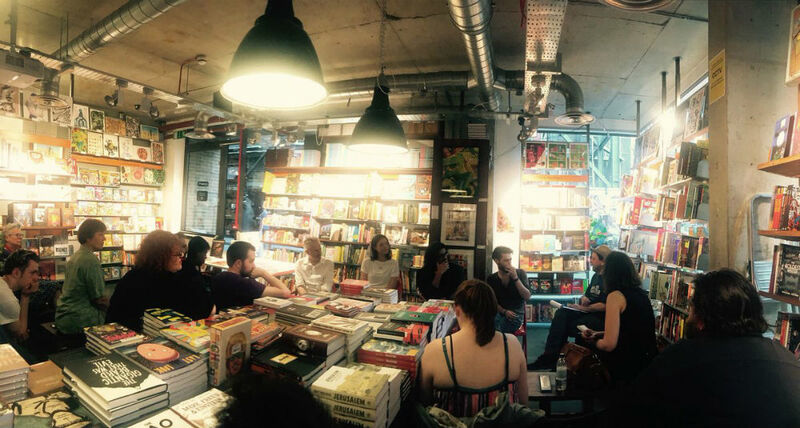 And the tail-end of the month saw our first BF panel engagement of the year when I guest-chaired the special Gosh! Comics Process night panel with Unbound Books to talk about their new range of graphic novels and unique crowdfunding publishing model. 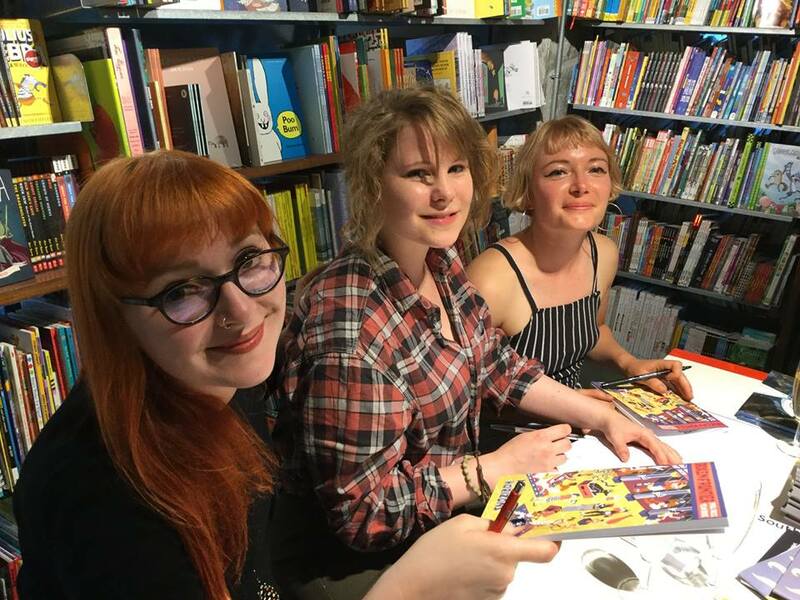 Aspiring creators were on hand to listen to Unbound’s graphic novels Commissioning Editor Lizzie Kaye, Head of Publishing Matthew Clayton, creators Ram Venkatesan (Grafity’s Wall) and Owen Michael Johnson (Reel Love). 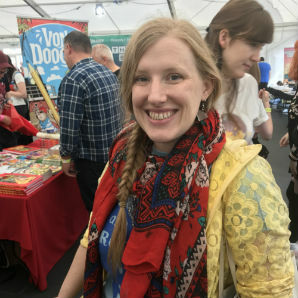 You can read a full interview with Lizzie about Unbound here at BF. June is always a huge month for us at BF and this year was no exception. ELCAF Week on the site pushed exhibitors at Nobrow’s sixth East London Comics & Arts Festival with a wide-ranging series of reviews and interviews. 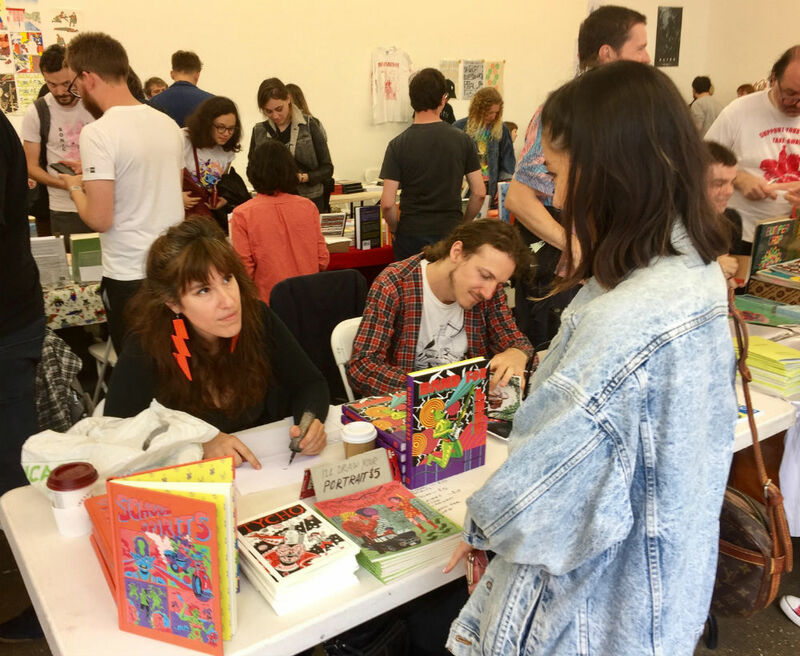 For the third year in a row I chaired a panel at the festival and this year’s official Broken Frontier Panel covered the subject of ‘Comics and the Micropublishing Revolution’ with guests David White (Avery Hill Publishing), Sanita Muižniece from kuš! 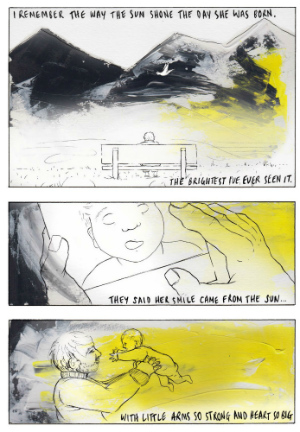 Comics, 2017 ‘Six to Watch’ self-publisher Peony Gent and the comics force of nature that is the phenomenal Tillie Walden (On a Sunbeam, I Love this Part, Spinning). My over-riding memory of that day will forever be of Tillie doing a far better job at talking the rest of the panellists out of any pre-event nerves than I could ever have achieved! 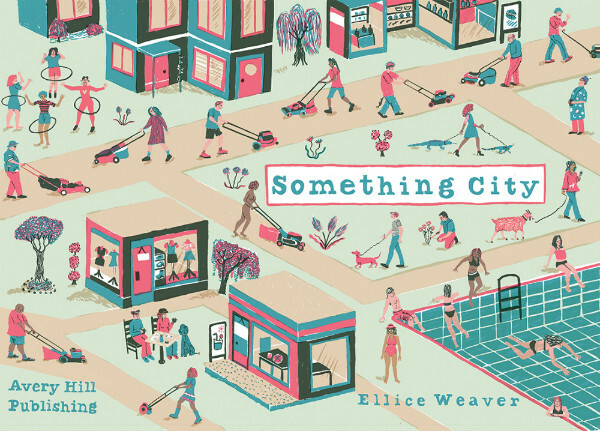 ELCAF was a huge event for some of our ‘Six to Watch’ creators as well, with 2016 inductee Ellice Weaver’s Something City debuting from Avery Hill and Josh Hicks seeing his Human Garbage released by Good Comics and on sale at his table. 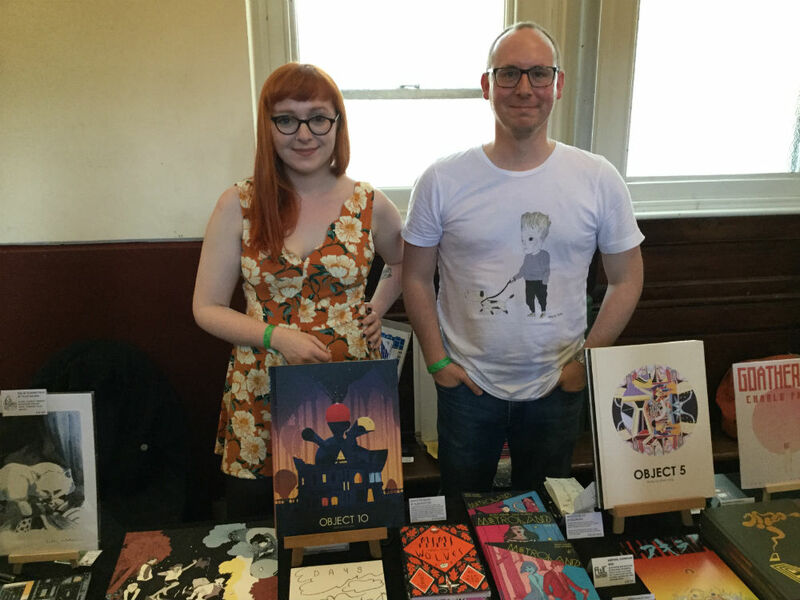 No less than four Broken Frontier staffers attended ELCAF and you can read their thoughts on the festival here. 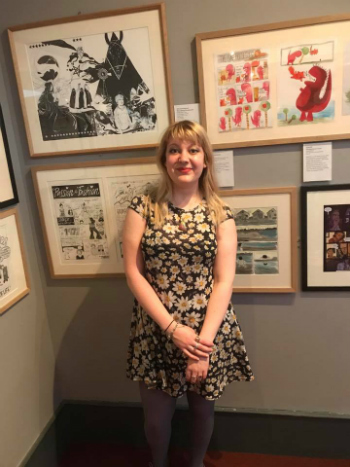 Finally in June I also sat on the ‘Getting Published’ panel at the Cartoon Museum as part of the aforementioned ‘The Inking Woman’ exhibition alongside Myriad’s Corinne Pearlman and artists Rachael House and Cath Tate. The second UK/Ireland Small Press Day – of which I’m one of the co-organising team alongside cartoonist and founder David ‘Ziggy’ Greene and the Alternative Press‘s Amneet Johal – fell on Saturday July 8th this year. After months of planning and co-ordinating it proved to be another huge success with events taking place in over 20 locations across England, Wales, Scotland and Ireland. 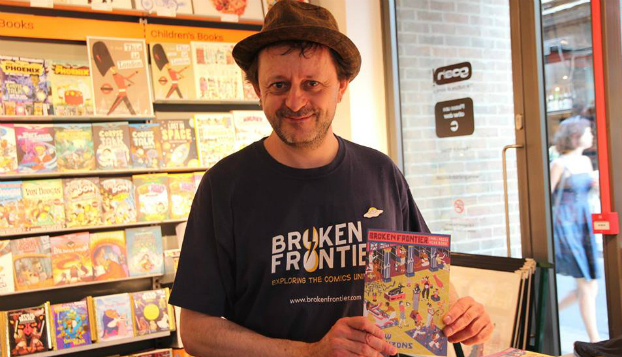 It was also the day we launched our second Broken Frontier Small Press Yearbook at London’s Gosh! Comics with a special evening that saw the shop packed out with punters, with Pride outside in Soho adding to the atmosphere of the day. Yearbook contributors signing on the night included EdieOP, Ellice Weaver, Jey Levang, Kim Clements, Rebecca Bagley and John Riordan. 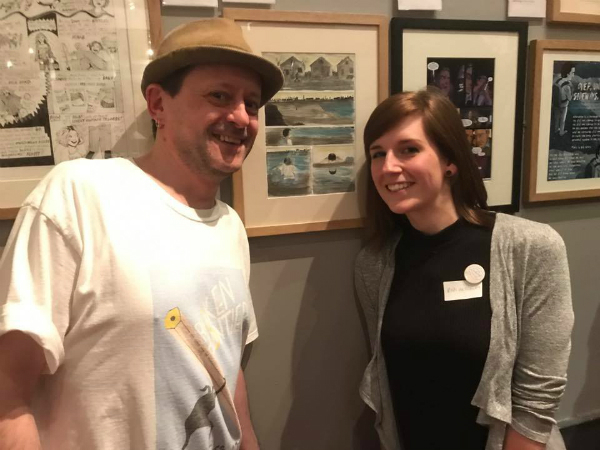 Our huge thanks to all the other artists involved – Brigid Deacon, Emily Rose Lambert, Danny Noble, Rozi Hathaway, Emma Raby, Steven Tillotson, Rachael Smith, Grace Wilson and Tim Bird – and to Dave White at Avery Hill and Rich at Comic Printing UK for making it happen! 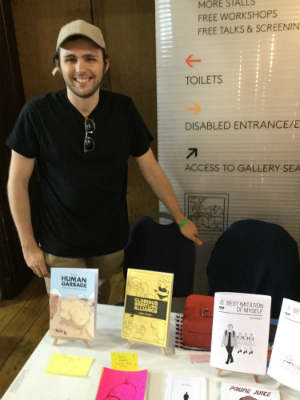 We finished off July with a rare 2017 tabling appearance at Gareth Brookes’s inaugural South London Comic and Zine Fair – a universally acclaimed new addition to the London comic calendar. 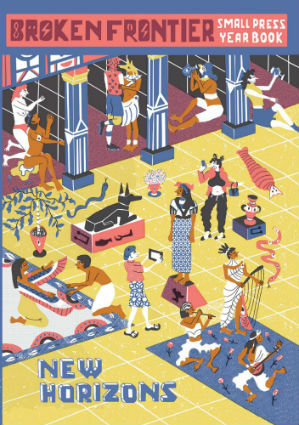 If it’s August then it must be Safari Festival Fortnight at BF and we spent our usual two weeks pre-festival shouting out about some of the boundary-pushing work on show at one of our very favourite UK events. 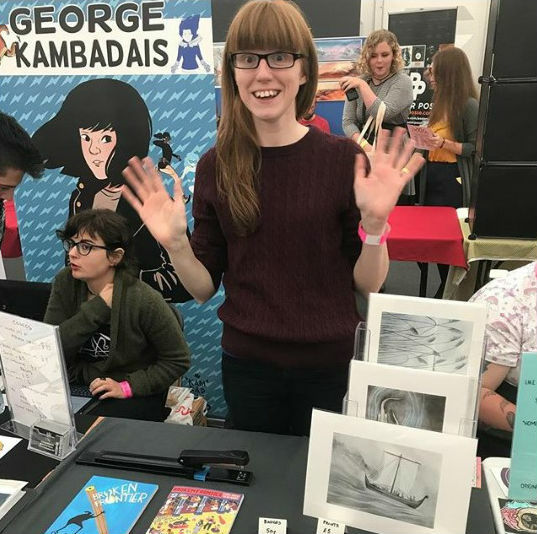 This year’s stellar line-up included Anya Davidson, Lane Milburn, Charles Forsman, Melissa Mendes and 2dcloud among many of the most vital and cutting edge creators in indie comics. The Breakdown Press team continue to outdo themselves year after year with Safari and it’s become one of the most crucial alt comics events of the year. 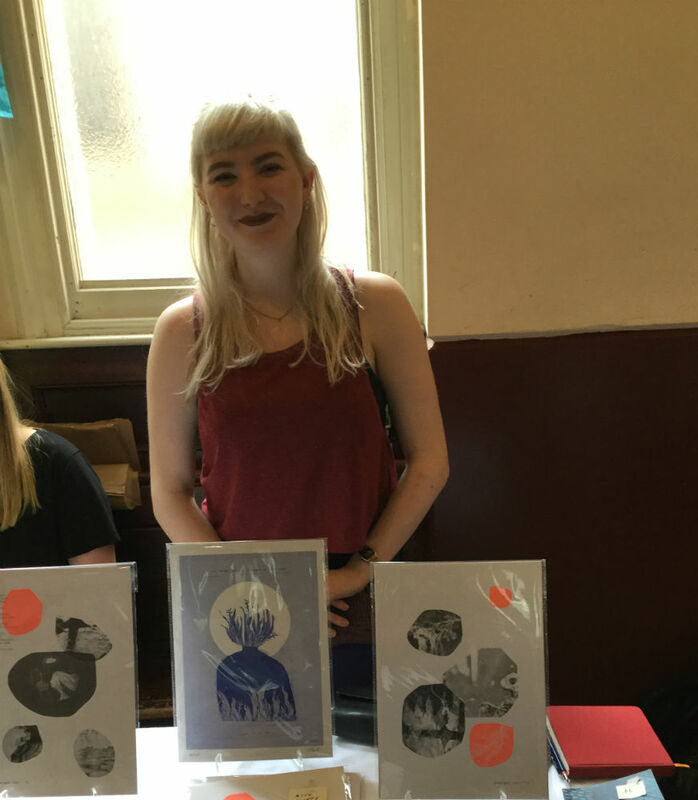 You can read a report on the festival from myself and Ally Russell (pictured below with Anya Davidson and Lane Milburn) here. 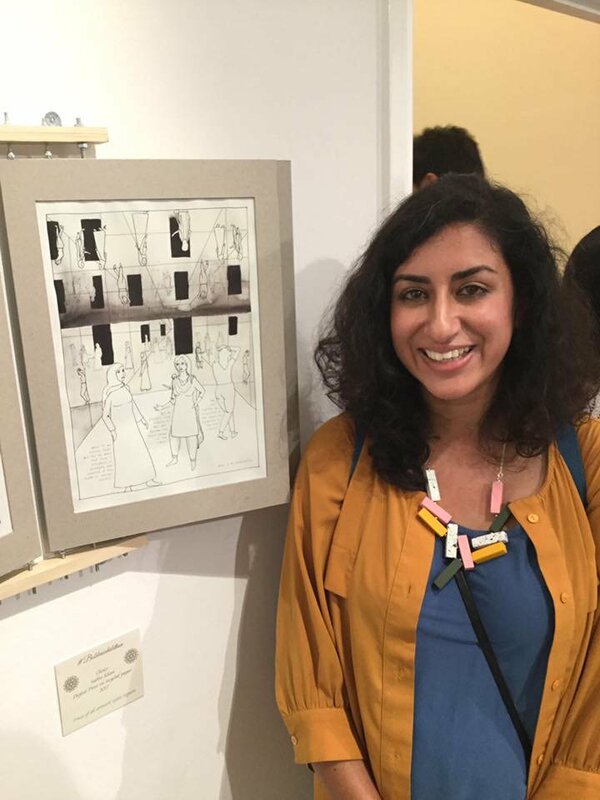 August was also a top month for our 2017 ‘Six to Watch’ artist Sabba Khan (below) whose new comics work was included in Burnt Roti magazine’s ‘The Beauty of Being British Asian’ exhibition at the Old Truman Brewery on London’s Brick Lane. You can read a full BF report on that event here. 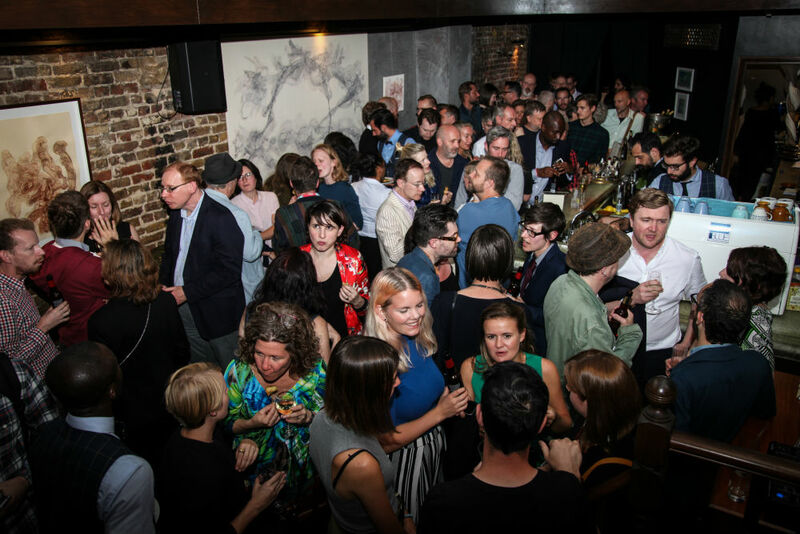 SelfMadeHero‘s tenth anniversary party at the beginning of the month will, no doubt, go down in the annals of the London scene as the Woodstock of our comicky generation. A fantastic evening chock full of the movers and shakers of indie comics it also boasted the best goodie bag I’ve ever left an event with. SMH are one of the great Brit success stories of the last decade and it was a privilege to celebrate with their epanded creative family on the night. You can read more about that evening here. 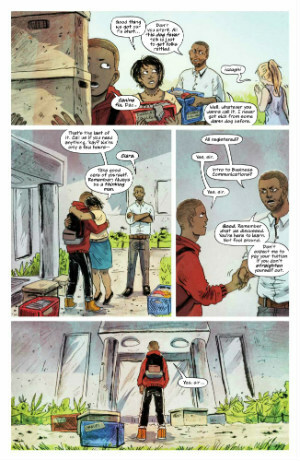 Our 2016 ‘Six to Watch’ artist Jey Levang also made their US serial comics debut this month in the pages of the horror thriller Lazaretto, written by Clay McLeod Chapman from BOOM! Studios. 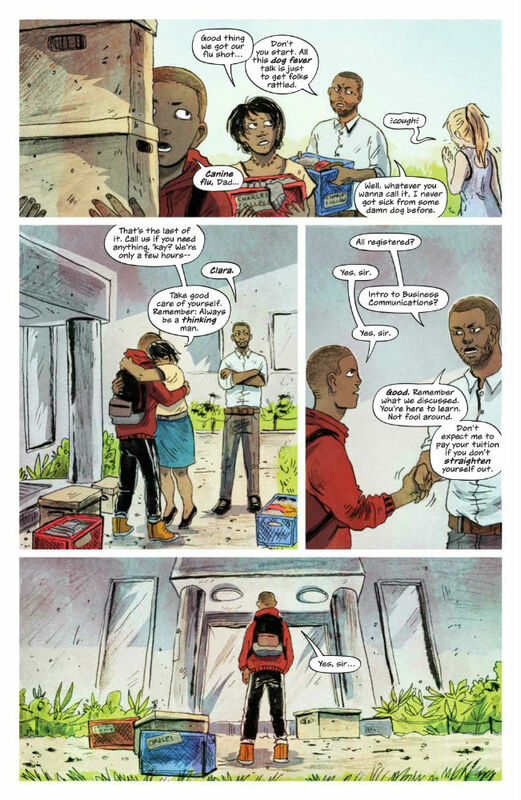 You can read a review of the first issue here and an interview with the creative team here. 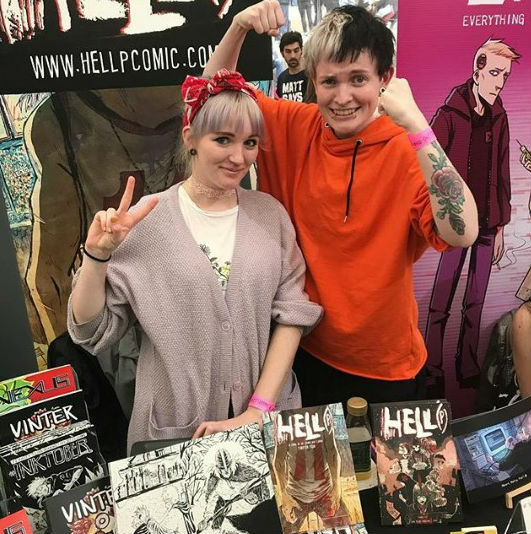 Thought Bubble’s move to a couple of months earlier in the year threw out our normal annual events routine but there was no doubting the ever expanding popularity of the UK’s largest festival event with its relocation to the city centre giving it a refreshed and even more energetic vibe. Once again this year I represented Broken Frontier as a panellist on the Gosh! Comics ‘The Best Thing I’ve Read All Year’ panel alongside Jamie S. Rich (Vertigo/Young Animal), Marley Zarcone (Shade the Changing Girl), Hannah K. Chapman (Comic Book Slumber Party), Katie Skelly (My Pretty Vampire), Spike Trotman (Iron Circus Comics) and Kelly Kanayama (Mindless Ones). You can read our TB report here with Edie’s and my thoughts on the weekend. 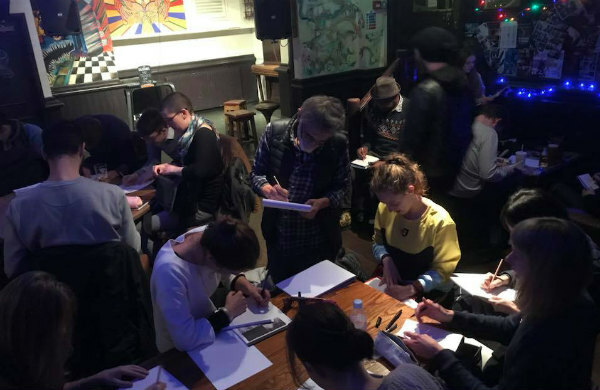 Our year of external events started winding down in October but we had Broken Frontier involvement with two Rebellion-themed nights in October. At the beginning of the month I had the pleasure of interviewing one of my own childhood heroes, artist John Stokes at Gosh! Comics (along with Ben Smith from Rebellion), to mark the collection of the 1970s children’s classic Marney the Fox in hardcover. You can read a full review of the book here. 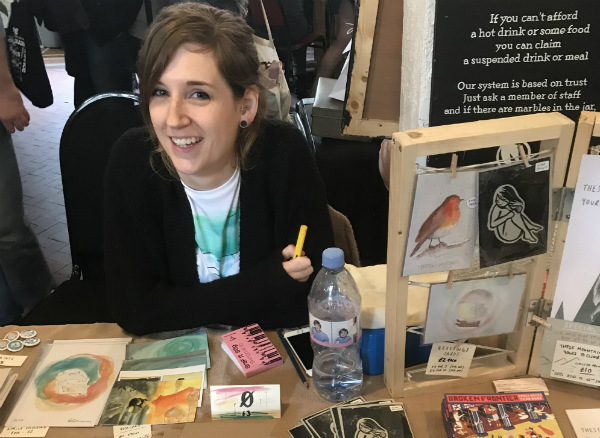 The ever inclusive and welcoming Bristol Comic and Zine Fair (Rozi Hathaway pictured below making yet another appearance here – well she is our Breakout Talent Award winner for the year after all!) 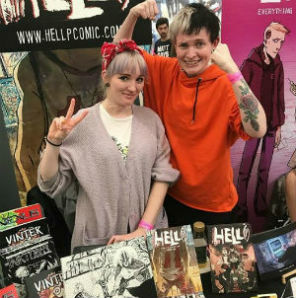 proved to be our penultimate UK fair appearance of the year with one last stop at Nottingham Comic Con the week after. Halloween was celebrated with one more Rebellion event when I chaired a panel at London’s Orbital Comics with 1980s cult fave comic Scream! editor/creator Simon Furman and the editor of this year’s Scream! 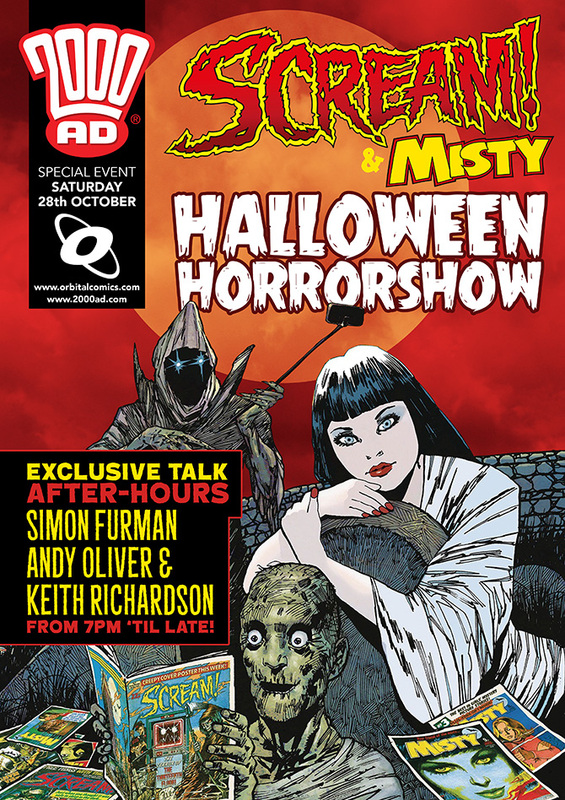 and Misty Halloween Special revival one-shot Keith Richardson. If you’ve got all the way down to the bottom of this mammoth, and admittedly rather self-indulgent, round-up then you’ll be aware it’s been a huge year for us not just in terms of our online presence but also in regards to all the external projects we’re involved in. 2018 promises to be just as exciting, exhausting, rewarding and occasionally a little fraught as its predecessor but we can’t wait to start pushing some of the very best in indie and alt voices and material in your direction. 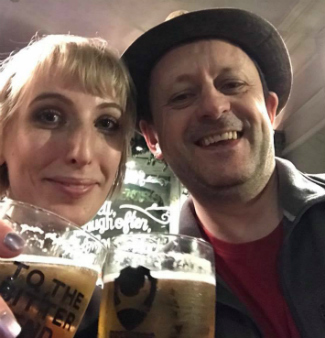 We look forward to exploring that comics universe with you all once again in 2018 but, in the meantime, a very Happy New Year to you all from the entire Broken Frontier team! For regular updates on all things small press and Broken Frontier follow Andy Oliver on Twitter here.